Surveillance service is basically a close observation of a person. The day to day activities, things and places he/she is taking interest in. This detective technique is mostly used to on a suspected spy or criminal. The first Indian Detective agency offers you professional surveillance services for the investigation of your cases. Be it any pre or post matrimonial investigation, matter of any adultery, tracing the missing people, employment verification processes etc. Surveillance investigations are kept subtle and undercover in every manner. At times, more than one detective agent is assigned the same investigation in order to maintain the anonymity of the task. Surveillance requires technique and tactfulness to complete the task successfully. This kind of investigation requires stealth to infiltrate even the most challenging environment. Therefore, the first Indian detective agency, FIDA has a team of highly skilled and industry experienced detectives and private investigators for making available the professional surveillance service to its customers. We provide surveillance services in case ofpre and post matrimonial investigation. In such cases, the client wants to know all about his/her future partner or the skeptical activities after marriage. We observe the person closely using advanced technological equipment for better investigation and clarity of results and reports. In the cases of affairs and adultery, depending upon the demand of the client we perform sting operations and CCTV surveillance on the suspect to find out the truth in such situations. Professional Surveillance service catches the habitual liar’s red handed. 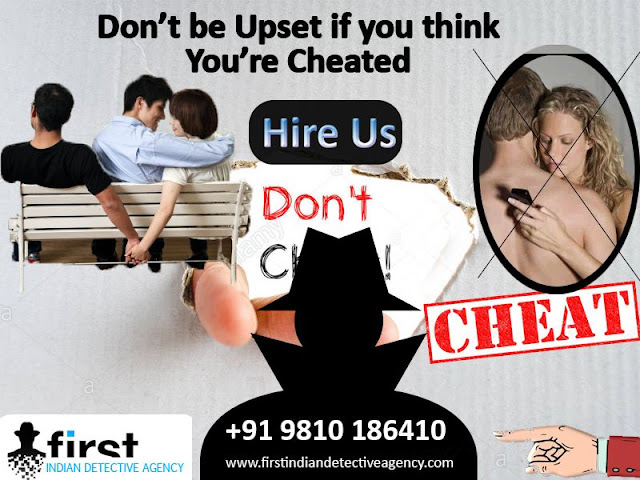 People into double employment, side business or cheat their employers by any means are verified by such surveillance services provided by FIDA INDIA. Surveillance is one of the finest and fastest way to get information about a person. Our detective agency also carries out the basic pre-surveillance groundwork to get best results from following the subject. Hire FIDA INDIA and get the best surveillance services from one of the best detective agencies in India.